Sharp’s folding phone looks pretty cool. Every Android smartphone maker has a concept folding smartphone that turns into a tablet, but what if manufacturers used folding screens to make our smartphones smaller? 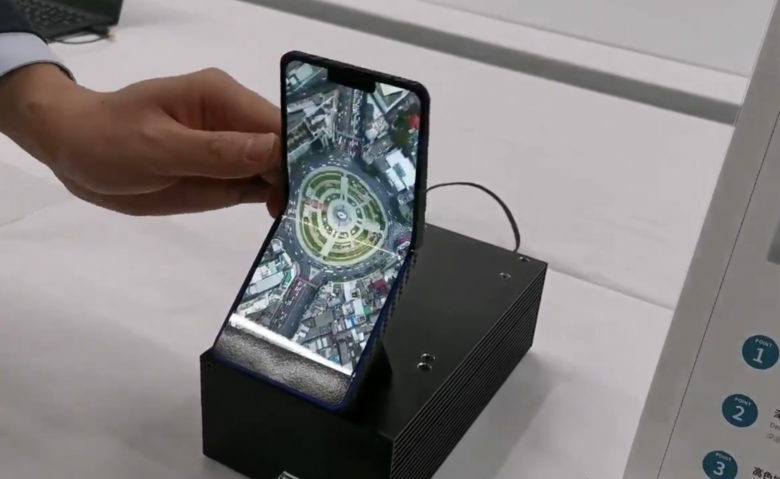 That’s exactly what Sharp has proposed with its first folding smartphone concept that turns a regular-looking smartphone into a clamshell phone kind of like the popular Motorola Razr. Sharp’s prototype phone packs a 6.18-inch OLED display with a WQHD+ resolution of 1,440 x 3,040 pixels. The company says the screen can be bent 300,000 times before you start to see a crease in the middle. Engadget Japan got to take a hands-on look at the new smartphone and we’ve got to say, it looks pretty impressive. Sharp wouldn’t say whether or not it plans to bring the tech to its Aquos lineup of smartphones. Given how unpopular the company’s phones are, I’m hoping they hook Apple up with the tech. Imagine how amazing the iPhone XE would be if it had a small display that folded to make it even more pocketable.